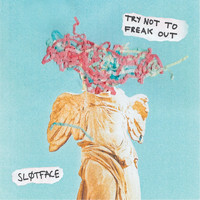 With component members based in Bergen and Oslo, Sløtface have been making waves right across Europe this past year with their infectious, socially-conscious pop-punk. 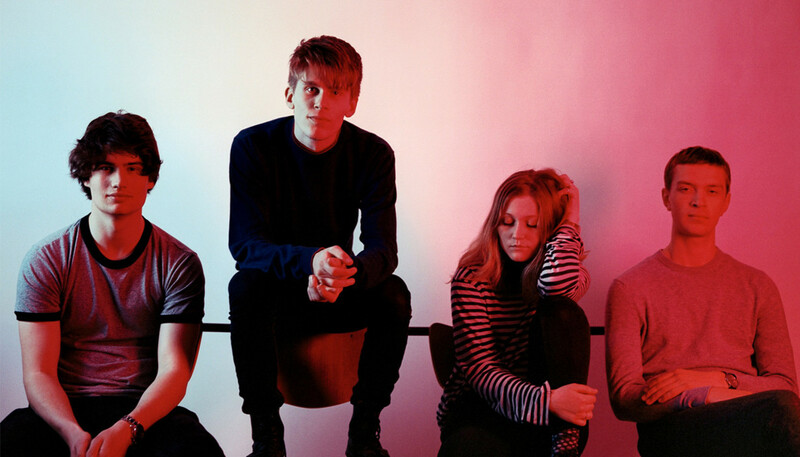 We spoke to guitarist Tor-Arne Vikingstad to find out more about the band’s beginnings, their debut album, Try Not To Freak Out, and how they’re trying to change the punk scene for the better. Firstly, your karaoke show at Slottsfjell Festival this year was amazing. Yeah (Laughs) It got a bit out of hand. It was a great man named Tom Rose. He works at our label and is very involved in everything we do, and always comes up with these crazy ideas. We started doing it for the first time at The Great Escape – we just rented a venue, bought a bunch of balloons and had a great time playing songs. At that show it was mostly industry people, and I think they appreciated the chance to get out of meetings and talk with people. Instead of trying to represent whatever company it is they were from, they could just sing songs they liked. We’re trying to create the music scene that we want to see, and that we would enjoy participating in. At Slottsfjell we were taken aback by the quality of some of the audience members’ singing. Are you often surprised at that? Yeah... The most fun part is when people can’t really sing. (Laughs) But one out of four or five people are really good and then it’s fun in another way because everyone’s surprised. It’s just about people having fun rather than making a high quality show. At Slottsfjell so many people wanted to come up on stage that at some points it was groups of seven at a time. What’s your personal karaoke song of choice? “Teenage Dirtbag” by Wheatus, I think. It’s a classic. And it’s so funny when you do it because someone comes up to sing the woman’s part in the bridge. I wanted to do “Born In The USA” at Slottsfjell as well, but we never got to that point. So for the benefit of anyone who doesn’t know much about the band, how and when did you meet? We started at the end of 2012 in Stavanger, our home town, and this was the first band we’ve all been in, so we weren’t trained musicians. We were 16 or 17 when we started out and then we just kept on going. So I guess we’re on our fifth year, but touring and recording-wise I would say we’re in our third year now. Did you bond over shared musical tastes? I think all the members of the band have a feeling where this band is going music-wise, but we don’t listen to the same stuff. Me and Haley [Shea, vocals] like listening to rock and garage. There are so many great female-fronted bands and bands with female members bands coming out now, playing garage and pop-punk and new wave, especially in the US and the UK. So we listen to a lot of that, but then again we listen to hip hop and soul too. Did you set out with any particular ambitions? No, it’s just been step by step, really. We buried ourselves and now we can’t really get out of this. (Laughs) We were too young to even realize what being a band really is and what it means, so it started out just for fun. And it ended up being fun but also there are so many things you learn about the music industry and touring and recording that it’s really different from when you imagined when you were 15, playing in a band. You put out quite a few EPs before this album. Were you deliberately taking your time working up to an album? Yes, I think that was a plan. We wanted to be an independent band with not too many people involved in the project. And when we started doing the EPs we were like, “I don’t think we’re good enough to release an album.” So we recorded a lot of songs and basically released them all as the EPs. We could definitely have done an album if we wanted to back then, but I don’t think anybody would have been very happy with the product. The album we’re releasing now, we’ve put thought into to make 10 tracks that all have something to do with each other musically and lyrically, that you can listen to from start to finish. We were not good enough or talented enough to do that three years ago, or two years ago. So yeah it was kind of a plan, but to be honest we were just very excited to be in the studio, creating music. We didn’t really have any master plan until we started working on the album. What can listeners expect from Try Not To Freak Out? I think it’s the best thing we’ve ever done. We’re super-proud of the album. I think what Haley has done is really cool, with her lyrics. We grew up listening to all these records about stories and thoughts from a male perspective in rock music. Her goal was – and I think she’s accomplished it with the album – to make the same kind of stories but from a female perspective. I think that that’s something that’s really important for the album. Because when you listen to a man writing the lyrics you don’t necessarily think, “Oh, this is a man’s perspective.” You think of it as a universal lyric, like, “I can relate to this regardless of gender.” And I hope that people would think that about this album as well even though it’s written from a female perspective. It’s universal and something that all teenagers, and people who have been teenagers, can relate to in terms of the problems and issues and stories. It does feel like the representation of women within the rock community is improving. And I think that’s the product of being conscious about it, and talking about it. And also it’s just natural that the music industry is starting to represent all people, not just 50% of them, and I think that’s great. There are so many good acts out there. But I think there’s definitely a boys’ club when it comes to booking agents and stuff. How important is it to you that you’re vocal on social issues like equality? We’re really trying to get that done, and I think we’re seeing some results. We’re trying to create the music scene that we want to see, and that we would enjoy participating in. If you have a line-up of four bands and they’re all male, the chance of it being four equally boring shows is pretty high. Once you have some women that have another perspective on music working together with men then you can create really cool music. What do you see as the lyrical preoccupations on the record? I haven’t participated in the lyrics but, personally, I’m not a guy who follows a concept album with a story through the whole thing; I just get caught up in that one line that I can relate to. Just one song, one line. And even though the stories are quite consistent and it’s about the same thing – just the experiences and thoughts Haley has – I definitely see many of those moments on this record, where people can find their own meanings in the songs. I find myself interpreting the lyrics in a completely different way and finding my own meaning in it, which is a great thing I think. It was written over a six month period but it was always interrupted by tours or whatever stuff we had to do, and then three weeks in the studio. We had 25 or 26 songs and we cut it down to 10. There are a lot of things I have learned actually. There was a meme circling online which was “Bohemian Rhapsody” vs “Single Ladies” and it was like, Freddie Mercury produced “Bohemian Rhapsody”, he wrote it, he played all the instruments or whatever, and ‘Single Ladies’ was Beyoncé with, like, 10 producers, and however many writers. And it’s trying to make out ‘Bohemian Rhapsody’ is better because it has a lone genius. I learned that is not something to try to achieve. Working alone makes music really hard and dull, and just cooperating with people like Beyoncé does, is a great thing, because you can make really cool bangers doing that. Doing that with the band and our producer Dan Austin, and friends that came in and played instruments on tracks made it a collaborative thing and that was great. I think it’s a shame that many young people are reluctant to share their music with people, or play music with other people, either because they’re shy or because they want to be the genius that that makes their debut album all by themselves. I think many of those people just end up finding music boring and very exhausting. So working together and having a good time is important, I learned. It’s so much more fun as well and it’s a shame that sometimes that’s frowned upon. Was it a fun experience making this album? Yeah it was. It was great. Just being in a room with your best friends and recording music and arguing and laughing. It’s emotionally exhausting but really fun.